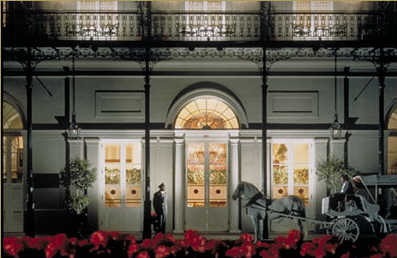 The Society for Consumer Psychology (SCP) will be holding its Annual Winter Conference on February 21-23 at the Omni Royal Orleans Hotel, New Orleans, LA. The SCP conference provides a relatively intimate forum, providing opportunities for a high level of interaction among participants interested in the integration of psychology and consumer research. This year’s conference will be held in the heart of the historic French Quarter in New Orleans, and the city is back and livelier than ever so the conference promises to be a memorable one. We are seeking proposals for original competitive papers, special topic sessions, and working papers for presentation at the conference. In order to encourage a diverse set of ideas and approaches to consumer psychology, the topic areas are not limited by a particular theme or application. We also welcome diverse methodologies, including experimental research, survey research, conceptual and/or theoretical developments, ethnography, or other methods relevant to the study of consumer psychology. All submissions, reviewing, and notification regarding SCP 2008 will be conducted electronically through the conference website. (Note: the URL for the conference is currently under construction but will be posted soon on the SCP home website: http://fisher.osu.edu/marketing/scp/). The conference website will provide an interface for reviewers and submitters, eliminating the need for e-mail submissions, as well as additional information about the conference. All submissions for competitive papers, special topic sessions and working papers are due by August 3, 2007. Notification of acceptances will be sent in early October. The conference website will be available for submissions between Friday, June 15, 2007, and midnight PST of the new deadline, Thursday August 9, 2007. SCP 2008 New Orleans was written on May 3, 2007 and filed in Conferences,SJDM,SJDM-Conferences.